You booked your trip this last Winter, and the time to depart is at hand! You could just go out there and wing it, or you could try out these easy, at home exercises to get ready for your big adventure! Planning on hiking this week? I love it when I hear guests say “Well, this was NOT what I expected!” because they are always pleasantly surprised at how fun a multi-day river trip can be. I decided to compile my most commonly-heard misconceptions about multi-day whitewater trips from guests and explain them here. Enjoy! Vacation Countdown - ONE WEEK! I’m going on the Middle Fork of the Salmon in one week. In. One. Week. Woohoo!!!! The past few weeks have done wonders to gradually build my anticipation; I have been reading books from the reading list and ensuring that I have all the gear recommended on the gear list to make for a successful trip. If you love rafting down the rivers, camping under the stars, eating dutch oven meals, and exploring the wilderness with reckless abandon, you also likely love beards. Mother nature is keeping us on our toes this rafting season! Newsletter: Lochsa Opens May 23rd! If you are not updated with exclusive offers, special announcements and new trip introductions - please sign up for our newsletter! Below you'll find the newsletter we sent out on April 30th, 2015. The Northwest's 2015 Rafting Season Kicks Off on the Lochsa River! Rafting on the Lochsa provides big thrills in the early season. Lochsa, a Nez Perce word meaning "rough water," is a great early season rafting river for anyone looking for some whitewater fun. Have you even been rafting down the Moyie River? Have you ever even heard of this spectacular river? The Moyie is Idaho's hidden whitewater rafting gem. 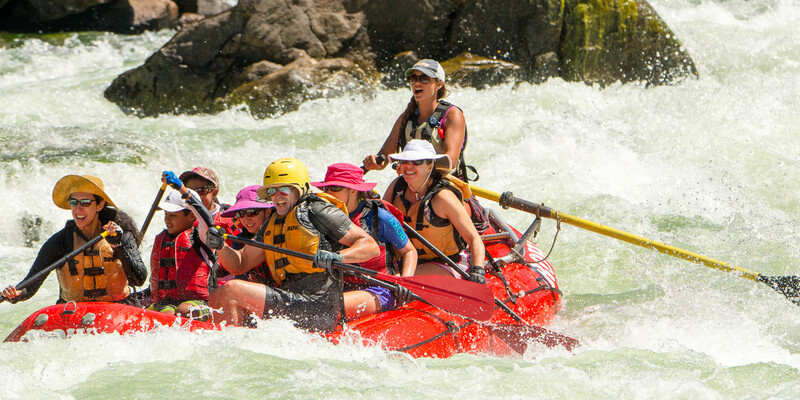 While relatively unknown, the Moyie is an exciting early-season (May to June) whitewater rafting day trip in North Idaho. For adventure-seekers wanting an adrenalin pumping experience, a whitewater rafting trip offers a completely unique perspective on your destination. It allows you to be totally immersed in your surroundings, listening to the calls of the wild reverberating around as you journey down legendary waterways.